There has been a lot of research that shows Facebook is a good platform for content marketers who are trying to spread their content to various audiences. Most business owners and marketers measure the success of their campaigns by looking at engagement numbers, such as likes, shares and comments, but these only tell a part of the story. There are times when a user on Facebook found the content relevant, but didn’t engage for a variety of logical reasons. Facebook has introduced a new metric that will show how long people looked at a post and use that data as a ranking factor for News Feeds. Though Facebook is clearly a valuable resource for marketers, it can be hard to see the benefits of using Facebook beside the increased reach of content distribution if no one is engaging. Consumers find and read content that they like but don’t like, share or comment on the post within Facebook. This doesn’t mean that the post was bad or that people didn’t find it relevant. Part of this relates to the kind of people a person has on their Facebook page and the type of content they enjoy to read online. If the content they enjoy wouldn’t be as enjoyable to their friends, they have no reason to publically like, share or comment on the post. But that doesn’t mean they didn’t enjoy it. Facebook has introduced this new metric to show the interest that wasn’t expressed through engagement. “Recently, as part of our ongoing effort to improve News Feed, we asked people to rate their experience and tell us how we can improve the content they see when they check Facebook,” wrote Ansha Yu, Software Engineer and Sami Tas, Software Engineer in a blog post announcing the changes. To explain how the new algorithm would work, Facebook described a situation where the user looked at several posts on their feed, then stopped at a particular post and image to read more. 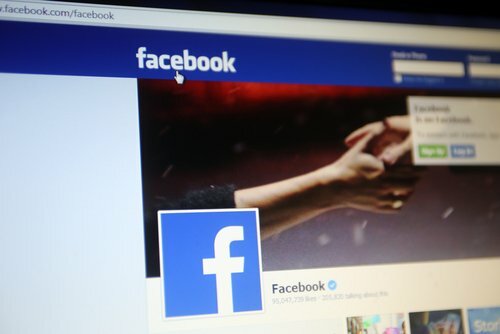 Based on the fact that you didn’t scroll straight past this post and it was on the screen for more time than other posts that were in your News Feed, Facebook infers that it was something the reader found interesting and the user may start to surface more posts like that higher up in their News Feed in the future. This change from Facebook is helpful to marketers for several reasons. First, any metric that helps marketers better understand their audience or their content is definitely a good thing. Second, using time spent on story as a ranking factor will give a boost in reach to content that gets people reading, even if it doesn’t necessarily get them clicking. Facebook says the change in ranking system won’t have a huge effect on what people see in their News Feeds. All the same, any algorithm change that rewards people for creating better content is good for consumers, the business and Facebook itself. This feature and algorithm change will be rolled out on Facebook over the next few weeks. For more news about recent changes to Facebook, read this article on Facebook’s test of Saved Replies for Business Pages.